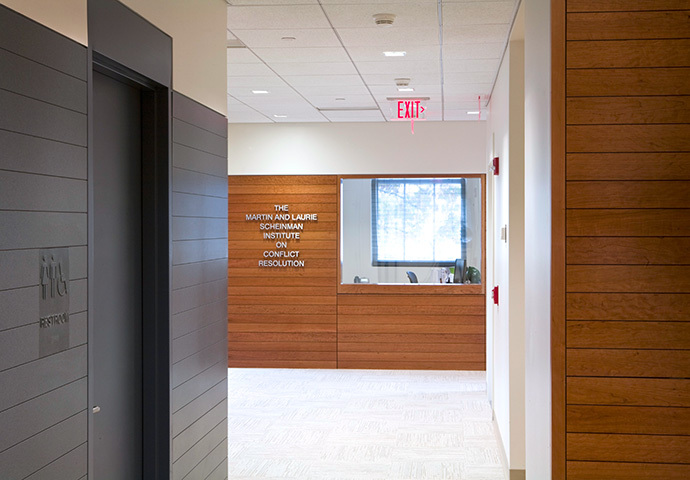 The Scheinman Institute on Conflict Resolution was designed as a conversion of the existing graduate student study center. The existing 2,700 sq ft space was without partitions and had the advantage of great natural light from large windows. 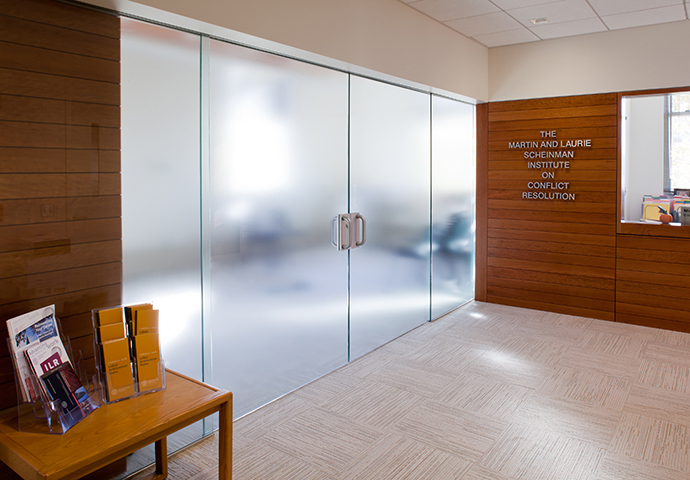 Though the program called for creating individual offices, a reception area and conference room, MDSA planned the interiors to allow natural light to penetrate to the common corridor and reception areas by using glass vision panels and glass wall surfaces in thoughtful locations. The space uses the interplay of finely detailed wood, glass and corian wall and ceiling surfaces to orient and move occupants and visitors through the space. 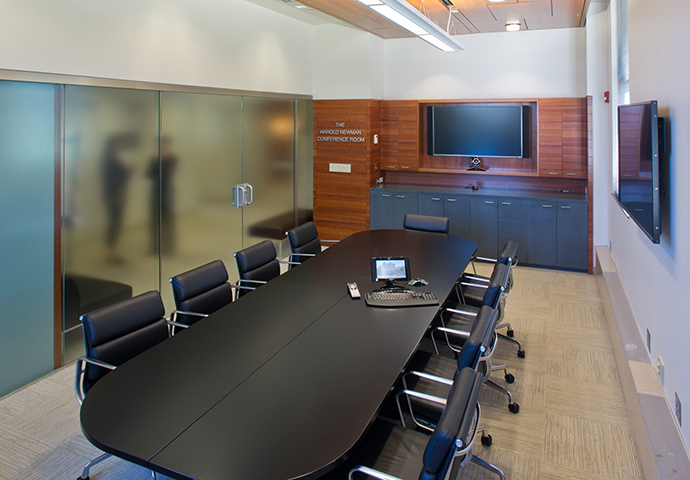 A major feature is a 24 foot long acid etched glass wall at the conference room which incorporates center-parting sliding doors. The expanse of glass filters natural light through to the reception area. 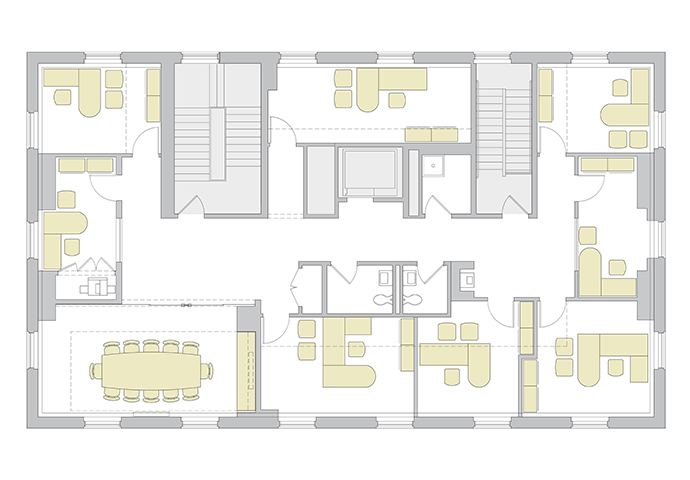 When open the sliding glass doors provide a 7 foot wide opening, connecting the reception and conference areas to accommodate large receptions.